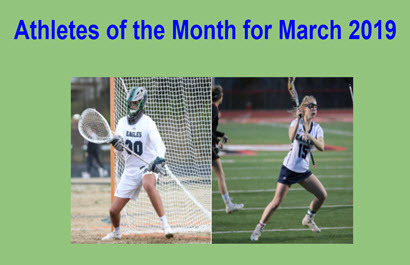 Forge Lacrosse dominates AoM selections for March! 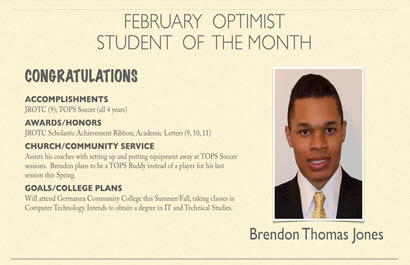 Congratulations to Brendon Thomas Jones for being named our February 2019 Student of the Month. 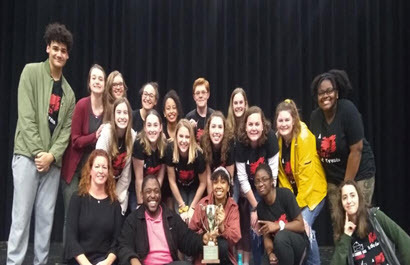 Forge Drama's one act, A Turn of Events, is heading to State competition on March 2! We placed first in the Regional event. Monthly Meeting ~ The CFHS PTSO April meeting will be held next Tuesday, April 9th at 6:00pm in the Teacher's Lounge to the right of the front office. The slate for the 2019-2020 PTSO Executive Committee members will be presented. Voting for next year's board will take place at the May meeting. All members are welcome and encouraged to attend. After Prom Committee ~ The final meeting for the After Prom Committee will be held on Monday, April 8th at 6:00pm in the Teacher's Lounge. We strongly encourage parents to attend. Be on the lookout for a Sign-Up Genius soon requesting volunteers and donations for After Prom. Meet Up Monday ~ Please see the attached flyer for the April fundraiser. It will be tomorrow night, Monday, April 1st at Pancho Villa in Stafford. Movie Fundraiser ~ The CFHS PTSO has rented a theatre at Paragon on Monday, April 29th around 6:00pm for the movie, Avengers: Endgame. Tickets will be $10/each. Be on the lookout for ticket purchase information. Mother's Day Raffle Tickets ~ We will be selling raffle tickets for two $100 gift cards. Tickets will be on sale during lunch April 30th - May 3rd. The Colonial Forge PTSO sponsors the After Prom celebration for Colonial Forge High School Juniors and Seniors and plans for the 2019 Colonial Forge After Prom are underway! The Annual After Prom Celebration will be held following the Prom on May 4th, from midnight until 4:00 am at FunLand in Central Park. All Junior and Senior Colonial Forge students and their guest are invited. As in the past, our goal is to keep students safe on one of the most dangerous nights of the school year. We will be hosting an all night drug-free/alcohol-free celebration at FunLand with a Star Wars theme that includes arcade and video games, laser tag, mini bowling, bumper cars, batting cages, thousands of dollars in prizes, and more! In order to make After Prom a success, we rely on the generosity of parents, faculty, and the business community who help absorb the expenses of this event. This event costs round $15,000, but ticket sales cover less than 50% of the cost. Every dollar donated goes to providing refreshments, activities, and prizes for the students. Your donations are tax-deductible and help keep our ticket prices down so that more students have the opportunity to attend. 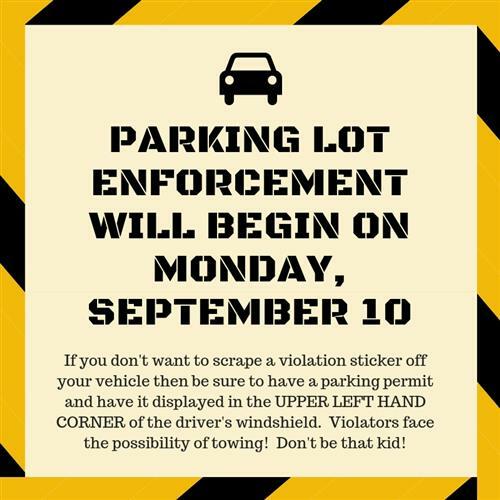 Parking lot enforcement will begin on Monday, September 10. If you don't want to scrape a violation sticker off your vehicle then be sure to have a parking permit and have it displayed in the UPPER LEFT HAND CORNER of the driver's windshield. Violators face the possibility of towing! Don't be that kid! Use your Giant Bonus Card to support our school with your grocery purchases. The program is called the A+ School Rewards Program. Our school receives funding donations that vary on the amount of points that you receive with your Bonus Card. The program has donated over $50 million to schools across the United States. Click here for more information about the Give Back to Schools Program. Students must have a pass from their teacher/coach in order to ride bus. Students not riding activity bus must leave the building at 2:30. Activity Bus starts on Sept. 5th. 5:05 Kellogg Mill Rd @ Mountain View Fire Dept. We are a community of learners engaged in a quest for academic excellence and committed to civic and social responsibility. We are unwavering in our belief that we must act with integrity and treat each other with respect. Colonial Forge High School is to foster the development of an environment that will facilitate learning for all students, promote ethical decision-making, self-esteem, and respect for others, and foster the development of self-sufficient adults. Where Everyone Can Dare To Soar! We, at CFHS, believe that the education process is a shared endeavor of the instructional team. This team is composed of teachers, administrators, parents, and the community. In our efforts to facilitate this process, we have developed expectations of our team members.